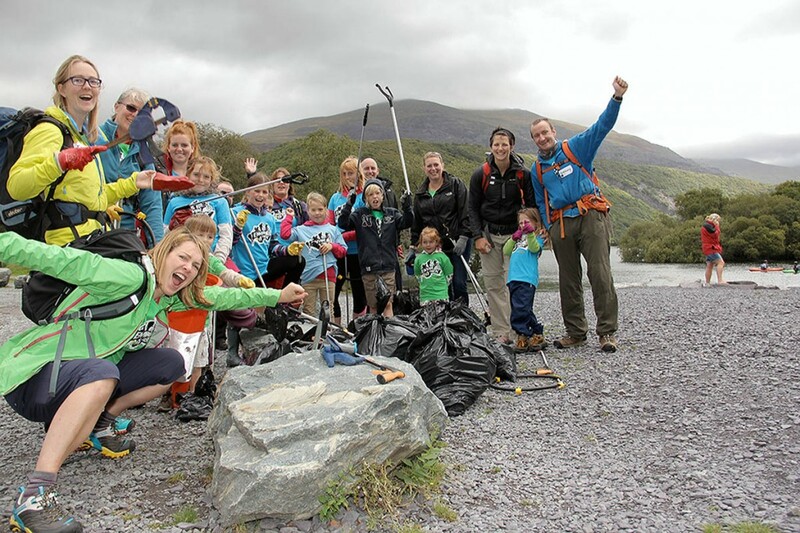 Outdoor fans can do their bit to clean up the mountain environment at an upcoming event in Snowdonia. Volunteers will be rewarded with a choice of outdoor activities for a morning spent tidying up the area around Llanberis next month. The Wales event is one of several across Europe under the Respect the Mountains banner, which has now been taken over by the International Climbing and Mountaineering Federation after its former hosts experienced funding problems. The series is supported by outdoor footwear brand Keen and the Llanberis round is being run in conjunction with the British Mountaineering Council and outdoor providers Raw Adventures. Nine Respect the Mountains clean-ups take place in some of Europe’s most popular mountain tourist destinations, from the lush green valleys of north Wales to the alluring Black Forest to sun-kissed Tenerife and the imposing might of Mount Kazbek. With more than 100 million visitors travelling to these areas each year, the environmental impact is considerable and the need to raise awareness about mountain protection greater than ever. Llanberis is the starting point for many of the thousands of walkers who make their way to the summit of Snowdon each year. Organisers of the series said: “All of the events unite clean-up initiatives, adventure and a chance for volunteers to share their appreciation of mountains. “This is a genuine grassroots concept welcoming all types of mountain visitors – tourists, local volunteers, sport enthusiasts and businesses – to come together and foster their own mountain community. Throughout the 2016 series, the mountaineering federation, commonly known by its French initials UIAA, and Keen will promote the seven ways to respect the mountains. These are: book smart, travel wise, support sustainable practices, be a respectful mountain tourist, leave no trace, reduce, reuse, recycle and upcycle (RRRU) and spread the word. At each event, one of these rules will form part of the core message. Participants with a Keen eye at the Llanberis event will have the chance of picking up a prize from the footwear brand if they are judged to have found the most original piece of rubbish. The clean-up, on Sunday 26 June, will begin at 10am with participants provided with a full briefing before being distributed into groups with the cleaning equipment. The teams will also focus their attention on some obvious, and not so obvious, sites where litter can be collected: roadsides, parking areas, hillsides and wind traps. After a few hours of rewarding work, participants will then have the possibility to socialise around a lunchtime barbecue provided to all volunteers at Llyn Padarn. In the afternoon the focus switches to enjoying one of the many types of activity the area has to offer. This includes climbing and abseiling, open canoe or stand-up paddle boarding, a guided trail run (maximum five miles), nature walks and other activity sessions, all facilitated by locally based providers. The event will finish at 4pm. Participants will need robust, comfortable footwear, drinking water, sunscreen and an all-weather jacket. Children must be accompanied by a responsible adult. Booking for the event is via the link on the Respect the Mountains website. Clean-ups are also taking place in July in the Civitella Alfedena national park in Italy, Freiburg in the Black Forest in Germany and Mayrhofen-Hippach in the Austrian Tyrol. In August, events will take place in Samoëns in France, Mount Kazbek in Russia and Tignes in France. The final Respect the Mountains clean-up will be staged in September in Piatra Craiului national park in Romania’s Carpathian Mountains.